Educate! News — Educate! | Preparing youth in Africa with the skills to succeed in today’s economy. Educate! was selected as 1 of 20 innovative youth solutions for the UN’s Generation Unlimited, a global partnership that aims to ensure that every young person is in education, learning, training or employment by 2030. 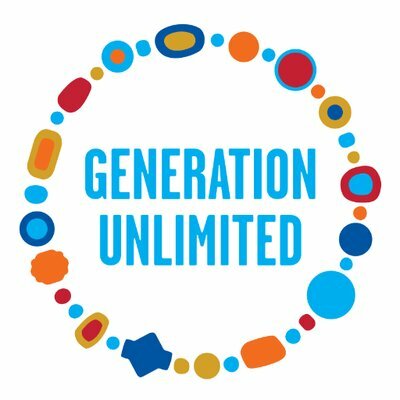 Generation Unlimited identified a set of solutions that bridge secondary-age education and training to employment and entrepreneurship, and equip young people to succeed in a changing world. The piece published by Cartier Philanthropy highlighted Educate!’s innovative and engaging approach to transforming traditional education as well as the program’s emphasis on creating socially and environmentally responsible leaders and entrepreneurs. Inspired by the challenge to address the global crisis of youth opportunity, The Aspen Institute undertook a landscape research effort to identify promising approaches to support youth in their search for meaningful work. Educate! is featured in the report as part of a small sample of existing models that were highlighted as especially innovative, evidence-based, or otherwise illustrative of a growing trend in the sector. How can we adapt education so that tomorrow’s workforce can confront new challenges? In WISE.ed’s latest Special Focus feature, Educate! and six other WISE Awards winners propose solutions to the education world’s biggest challenges. In a recent episode of The Brookings Cafeteria podcast series, Educate! Deputy Country Director, Hawah Nabbuye, and three other women who are leaders in girls’ education in their home countries, shared stories of their childhood educations, reflected on role models, and discussed their research and policy recommendations. In a new blog post featured on BOLD, Educate! Executive Director and Co-founder, Boris Bulayev, shares Educate!’s mission and how skills-based education can disrupt cycle of youth unemployment. Boris is featured on BOLD as a recipient of the 2018 Klaus J. Jacobs Awards, which are awarded by The Jacobs Foundation to 10 social innovators and change makers in the field of child and youth development. Written by Educate!’s Executive Director and Co-founder Boris Bulayev and Board Director Nicole Goldin, the article shares how a strategic gender focus and intentional program design can promote gender equality and empower girls to succeed. As a part of her research as an Echidna Global Scholar within the Brookings Center for Universal Education, this policy brief “examines the education policies in Uganda with special attention to those that support the use of gender sensitivity in the curriculum and classroom.” It also explores a teacher and student survey and ultimately provides recommendations to policymakers on the implementation of gender-sensitive pedagogy in an effort to improve education for girls. With rapid advances in technology, researchers, teachers, and education leaders hope to finally be able to put in place education policies, methods, and solutions that tackle the mismatch between how we teach and how our brain functions. How do we rethink what is taught, how it is taught, and how we assess learning? The webinar facilitated by WISE explored these questions and more. Khaleej Times of Dubai highlights Educate! as one of Dubai Cares’ programs in Rwanda helping to improve education and empower youth. What’s threatening further progress in girls education in Uganda? Hawah Nabbuye, Educate! 's Deputy Country Director and Brookings’ Echidna Global Scholar, shares how stereotypes about girls and assumptions about gender-sensitive teaching methods are blocking further progress on promoting girls’ education in Ugandan schools. Hosted by the Center for Universal Education (CUE) at the Brookings Institution, the Echidna Global Scholars Program is a visiting fellowship where Scholars spend four to six months pursuing research on global education issues, with a specific focus on improving learning opportunities and outcomes for girls in the developing world. Hawah brings her nearly 10 years experience with Educate! to explore methods teachers are using to empower girls to improve attendance, participation in co-curricular activities, leadership positions, and academic performance. SDSN Youth, the official youth initiative of the United Nations Sustainable Development Solutions Network, featured Educate! in their newly released Youth Solutions Report. The initiative's flagship report highlighted Educate! as one of 50 youth-led organizations contributing towards the achievement of the United Nations 2030 Sustainable Development Agenda. A new study from Mathematica Policy Research examined Educate!’s innovative approaches for enhancing teacher quality at scale. The study, which looked at organizations supported by the multi-donor Partnership to Strengthen Innovation and Practice in Secondary Education (PSIPSE), distilled learnings from the experiences of eight organizations implementing in-service teacher training programs. The findings offer practical lessons about how to design, implement, and scale efforts to train, motivate, and support teachers. The Jacobs Foundation bestows 10 awards to social innovators and change makers in the field of child and youth development. The Co-Founder and Executive Director of Educate!, Boris Bulayev, was awarded for his efforts to equip youth with key 21st century and employability skills. The Partnership to Strengthen Innovation and Practice in Secondary Education (PSIPSE) released a brief offering 10 tips for improving teacher quality at scale. PSIPSE drew on important insights from Educate! as well as seven other non-governmental organizations working to sharpen teachers’ pedagogical skills. Educate! was highlighted in Connie K. Chung’s latest book, Building Bridges to the Future: Global Case Studies of Teaching and Learning in the 21st Century. Dr. Chung is the former Associate Director of the Harvard Graduate School of Education's Global Education Innovation Initiative and is a veteran educator with 20 years of experience in practice, research, and policy. The book is a collection of profiles of 10 education organizations who are equipping young people to thrive in the 21st century. The Global Opportunity Explorer identified five innovative solutions that are advancing gender equality and accelerating progress. Educate!’s program was highlighted for its positive impact on the lives and futures of young women. Why are we still falling short on girls’ education globally? Stanford Social Innovation Review highlights a few of the half-truths holding the field back and a few whole truths awaiting discovery. Educate! is featured as an example of a high-impact, evidence-based program in Uganda which, while it aims to improve the education experiences of all youth, has seen a greater impact on girls. Detailed in the Education for Development Workgroup’s 2018 Annual Report, the panel discussed the landscape of secondary education in developing countries and examined specific strategies that have been successfully applied to integrate positive youth development into educational settings. World Bank blog features Educate! The World Bank’s Jobs and Development Blog highlights Educate! 's work in Rwanda as an example of one of the 19 high-potential, innovative projects profiled by Solutions for Youth Employment. Apolitical highlights thought leaders who work with governments to solve the most difficult challenges facing communities. A recent case study profiles Educate!’s innovative partnerships with African governments to transform education systems at the national level, as well as the measurable impact we've achieved in Uganda. Our article "Breaking New Ground: Four Key Lessons from Launching Education Innovations in Post-Conflict Environments" was published in the journal Childhood Education: Innovations. We describe the challenges we faced and lessons we learned in scaling our model to the complex, post-conflict region of Northern Uganda. Do social enterprise accelerators really work? And if so, how? Educate! was featured as a successful social enterprise in Duncan McCullough and John Campbell Jr.'s Results for Development article. The Borgen Project profiles Educate! 's program that fights to lower Uganda's 66% youth unemployment rate. For the first time ever Educate! was featured in a broadcast television segment! The Al Jazeera English documentary series, Rebel Education, selected us as one of six institutions across the globe that is breaking the mold and creating a radically new vision for 21st century education. Watch the documentary here. Read the filmmaker's notes on his time spent with Educate!. Educate! was named one of the six Top Ideas from Amplify's Youth Empowerment Challenge focused on East Africa, becoming one of the newest additions to the Amplify portfolio. Educate! 's model for scale and monitoring and evaluation efforts are featured in Nwunel's book, Social Innovation in Africa, which is focused on filling the knowledge gap for those tackling Africa’s serious social problems. The BBC's new report focuses on how entrepreneurs are profitable in the most entrepreneurial country, Uganda. Sam, an Educate! graduate, and his successful coffee farm, are highlighted. 35 Dream Jobs highlights the resilience and personal triumphs of young people from around the world as they traverse the difficult journey from education to employment and, hopefully, a dream job. Tinka, a former Educate! Mentor and now team member, and Pauline, an Educate! graduate, shared their stories. Harvard Graduate School of Education's Global Education Innovation Initiative profiles Educate! 's practical, skills-based model as an example of "21st Century Education in Action". Dr. Francois Bonnici, director of the Bertha Centre for Social Innovation and Entrepreneurship at the University of Cape Town’s Graduate School of Business, highlights Educate! as a model for how to "foster or nurture young people’s entrepreneurial spirit – and address development challenges in the process." Bill Gates discusses about his optimism for Africa's future and references Educate! as an innovative NGO helping high schools prepare young people for the workplace by teaching students how to start their own business. Read the transcript or watch the speech (1:03:00). The 2015 Sustainia100 study features 100 new stories from the forefront of sustainability innovation. Deployed in 151 countries, the solutions feature new ways of saving water, managing waste, building homes and safeguarding our food production. The top-100 sustainability solutions were found after reviewing +1500 projects and businesses on six continents. Click here to read the excerpt about Educate!. Since a skills lab and business clubs were introduced at Ecole Secondaire Nyamirama in Kayonza District along with the competence -based curriculum this year, students no longer regard what they learn as mere far-fetched theory but rather practical work which is relevant to their needs. The Center for Education Innovations recently interviewed Educate! 's Director of External Relations Loren Crary to discuss Educate! 's exciting momentum and advice for other innovating organizations. Educate! is on a mission to turn students into entrepreneurs. Read about our impact, plans to scale, and lessons learned. Educate! shares three important lessons we learned from others (and from mistakes we made along the way) about preparing for scale. Uganda is a Land of Entrepreneurs, but How Many Startups Survive? Paul Mugambwa, an Educate! Graduate, credits the financial discipline he learned through Educate! with allowing him to overcome a lack of access to capital. Paul started a landscape and maintenance company called Motion Gardeners, and now employs seven people. Educate! has been named a WISE Awards winner at this year’s World Innovation Summit for Education in Doha. Social entrepreneurs dream of changing the world — but to achieve more than pockets of success, they need to operate at scale. Guest blog post by Richard Luuba, Program Manager at Educate! about expanding Educate! 's program to post-conflict Northern Uganda. The Educate! Experience is one of fifteen projects chosen by WISE for providing compelling and innovative solutions to today’s most pressing challenges in education. Out of more than 1,400 applicants from around the world, Educate! has been selected by the Epic Foundation as one of the 20 most impactful youth organizations globally. Brookings’ Millions Learning Project has featured on their blog a preliminary case study featuring Educate!. The Brookings Institution is the foremost thought leader in international education. Educate! Highlighted as Case Study in R4D Report and Article "Bridging the job skills gap around the developing world," The Washington Post. Developing employment skills such as communication, relationship-building, and problem-solving is essential in helping millions of unemployed youth globally, according to a Washington, D.C.-based international development organization that works to help overcome challenges facing people in low- and middle-income countries. James K. Arinaitwe, Educate! Team Member, writes New York Times Op-Ed, "Uganda's Ticking Bomb," May 2014. In March, the United States sent 150 Air Force Special Operations forces along with military aircraft to Uganda to help capture Joseph Kony, whose Lord’s Resistance Army has terrorized the country for decades. Educate! Highlighted in "How to Assess a Social Enterprise," The Huffington Post by Hila Mehr. Otim Gerald, Educate! Staff Member, Selected For Third Cohort of Acumen East Africa Fellows, February 2014, Acumen Blog. Acumen is proud to announce the selection of our third cohort of East Africa Fellows. After a competitive selection process, we’ve chosen are a diverse group of 22 inspiring individuals who are fighting poverty and changing lives of people all over East Africa. Educate! Co-Founders Named to Forbes 30 Under 30 List, January 2014, Forbes. Through Educate!, cofounders Boris Bulayev, Eric Glustrom, and Angelica Towne are transforming Uganda's education system by partnering with locals schools to provide a two-year social entrepreneurship program for 16- to 18-year-olds. The goal: ditching rote memorization in favor of leadership development. In 2013 the organization reached 8,000 students and brought its entrepreneurship course to 25,000 students by integrating into Uganda's national curriculum. Govt Changes Examination Format for S.6 Candidates, June 26, 2013, Daily Monitor. Budding leaders. Gauri Rane & Karishma Venkateswaran. December 2013. DNA India. Educate! Curriculum Highlighted for being more relevant, Summer 2013, New Vision. Full article. Clip on Educate!. Applause Africa, May 2013, Educate!’s Solomon Kayiwa a winner of Youth Network Design Contest Workshop. Meet Uganda’s Future: Educate! Entrepreneurs. May 28, 2013. Africans in the Diaspora. Forbes Magazine, December 18, 2012, Educate! Co-Founders Selected for Forbes’ 30 Under 30. Ashoka Press Alert, August 14, 2012, Social Entrepreneur from Uganda Wins Prestigious Global Fellowship. Ashoka, July 26, 2012, Ashoka Fellowship. Wandering Educators, March 28, 2012, Curriculum Launches into National Education System of Uganda. Echoing Green, March 24, 2012, How to Reach 45,000 Young People. Christian Science Monitor, March 16, 2012, Educate! Mentor: Why give celebrity status to a killer? DW Akademie, March 15, 2012, African Stories: different countries but facing similar challenges. KGNU Radio, February 29, 2012, Educate! Updates. Examiner.com, February 28, 2012, Educate!’s 3rd Annual Ball for the Future of Africa. Inside Higher Ed, January 31, 2012, Social Justice Revival. Care2 E-newsletter, January 20, 2012, Educate! Preparing Uganda’s next Generation of Leaders.